When a person proposes to their partner, it’s always something that needs a significant amount of thought. A certain type of couple might necessitate a certain type of proposal. For instance, if your partner is not a fan of public speaking and is uncomfortable being the center of attention, maybe a more intimate and private proposal is necessary. 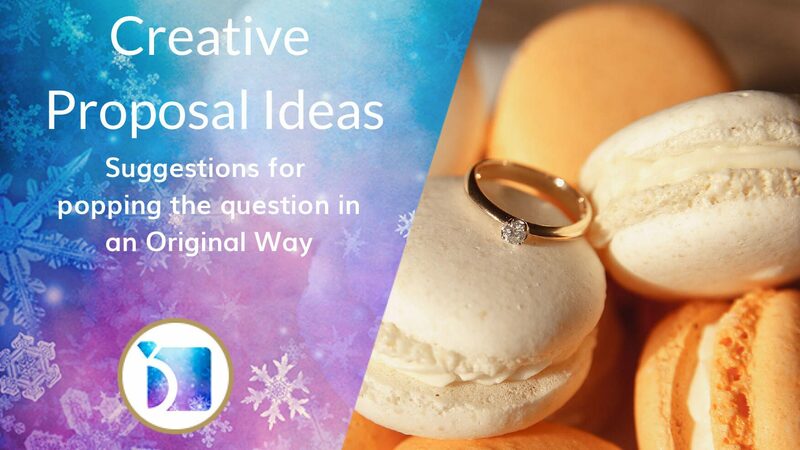 Below are a few suggestions to get the creative juices flowing if you still don’t have a clue how you’re going to pop the question. Whether you decide to propose over a home-cooked dinner or you spell out “Will You Marry Me” on the Scrabble board, making your proposal simple and private doesn’t mean you have to sacrifice cuteness or making some sort of a grand gesture. Just think about who you are proposing to and what would be the most comfortable and compelling way to win them over. One popular method is putting the ring in the dessert, which can often work out perfectly, but has the potential to misfire. Macarons are a great idea, perhaps a decadent cheesecake of some sort, or even a souffle. Just make sure that the ring isn’t so well hidden that your significant other ends up eating it. Hiding the ring somewhere on your pet or having your pet bring in the engagement ring might be a fun way to get the entire family involved in the proposal. Should you go this route, you partner should likely be a pet lover. When we travel there’s a certain air of possibility that makes things ripe for romance. When we travel with our partners and loved ones it’s a great opportunity to bring us closer. Proposing while at a travel destination is a tried and true method of getting a “yes.” Just make sure that this isn’t the first time you’re traveling with your partner — you learn a lot of new things about people while traveling in foreign lands. If you’re planning on proposing in your hometown, make an event out of it by planning a scavenger hunt that takes you throughout your entire city. Make sure you end up at a special spot that is significant to you and your significant other’s relationship.